The three appartments have an ensuite bathroom, private kitchen area, central heating (in winter), television and an independent entrance. Each flat has a double bedroom and the possibility of adding a third or fourth bed in the living rooms. 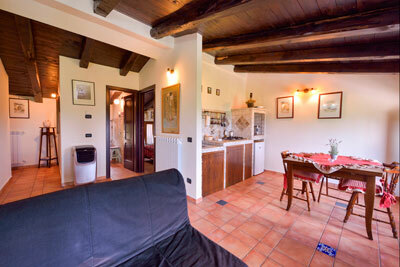 The rooms have wooden beam ceilings, local stone worked walls, a fireplace and pleasantly furnished.